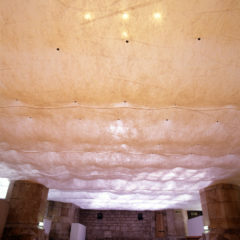 Our breathing space installation was created by Caroline Broadhead, contemporary textile artist and Reader in Jewellery and Textiles at Middlesex University. 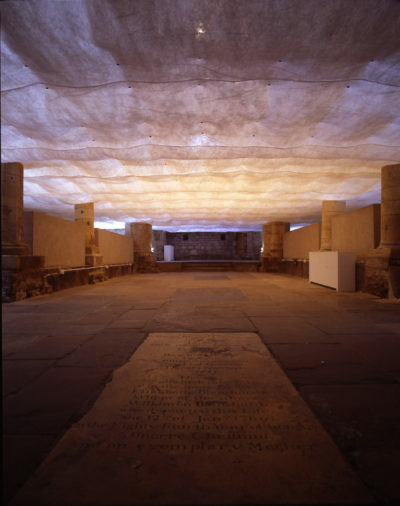 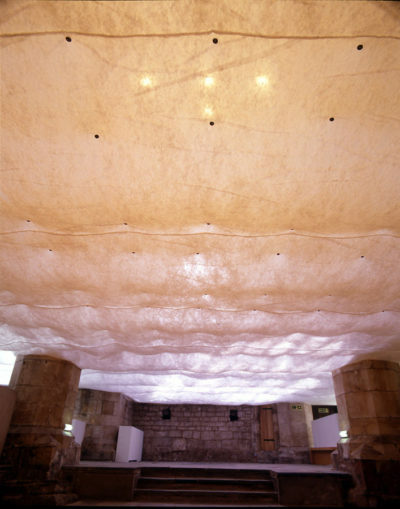 Her installation altered the dimensions of the interior by creating a suspended textile ceiling made of translucent mattress wadding, which separated the upper and lower levels of the building. 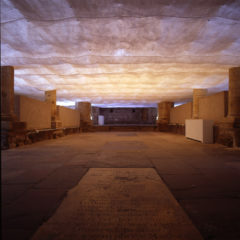 Viewed from the ground floor, it became a new layer of the building, reducing the space that visitors were accustomed to on entering the church. 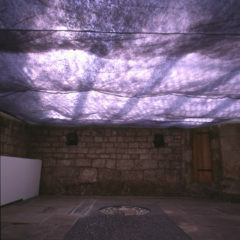 From above, visitors could look down on the fabric ceiling, as it caught the natural light from the high windows. 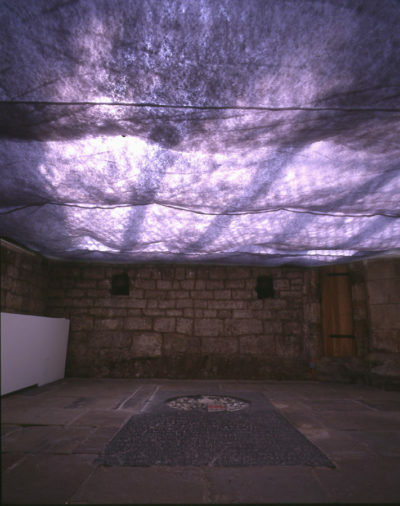 Caroline’s work has been shown widely over the last 30 years and is represented in public collections in the UK, Europe, Japan and Australia. 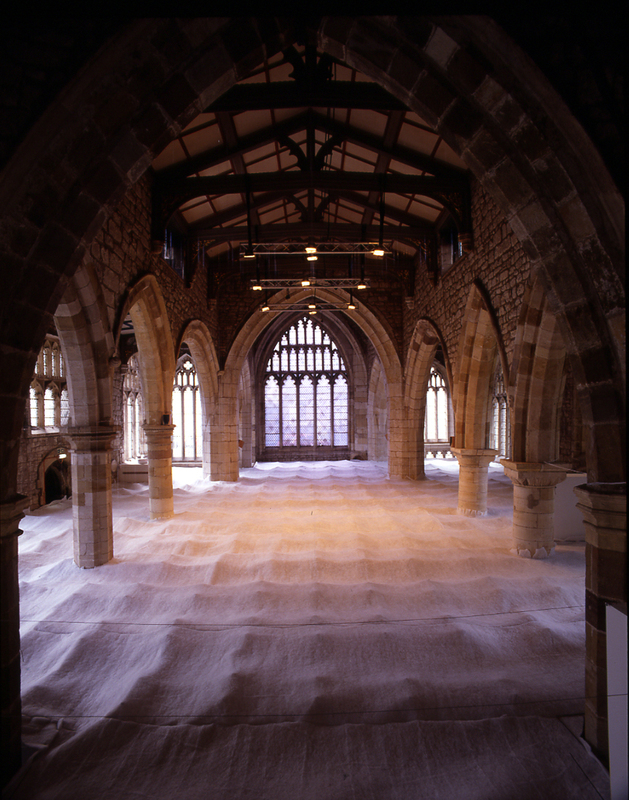 In 1997, she was the winner of the Jerwood Prize for Applied Arts: Textiles and, more recently, the Textiles International Open held at the Ormeau Baths Gallery, Belfast in 2004.